The purpose of St. Mary's Women's Societies is to promote and encourage spiritual, educational and social programs of the parish through togetherness, friendship, and charity towards all members, and provide a channel through which the pastor my reach the women of the parish as an organized group. Membership is open to all women of the parish age 17 and older. 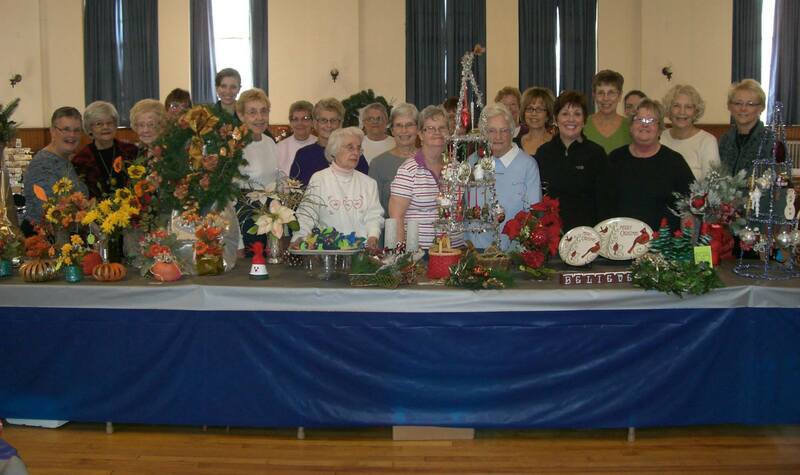 The Women's Societies sponsor many events during the year, including monthly recitation of the Rosary, their Annual Holiday Bazaar held on the second weekend of November and their Annual Communion Breakfast held in March For membership information contact Dolores Sanders at 755-1315.